Bronze caskets combine quality construction and beautiful finishes. Many families choose bronze because it is superior to all other casket materials in strength, durability and naturally non-rusting qualities. Each bronze casket is equipped with a one-piece rubber gasket, helping to resist the entry of air, water or soil into the casket. 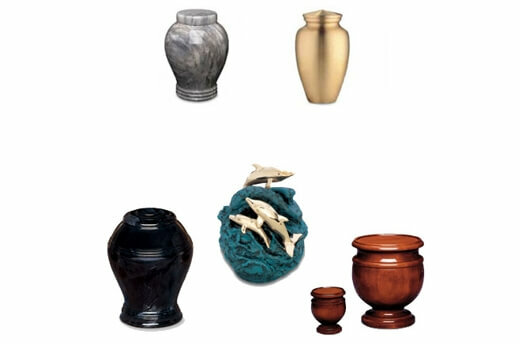 A wide variety of styles, colors, and features in bronze are available, allowing you to select a casket that is suited to individual preferences. Stainless steel is known for its quality and longevity, making it a valued material for casket construction. The grade of stainless steel is determined by the amount of chromium and nickel content — the higher the content, the higher the quality of the steel. Premium stainless steel, also known as 18/8, contains 18% chromium and 8% nickel and is known for its strength and corrosion-resistant qualities. 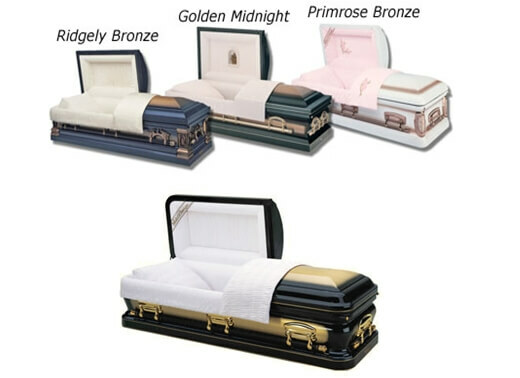 Batesville’s premium stainless steel caskets are available in a wide range of colors and finishes with a large selection of personalization features. Batesville’s premium stainless steel caskets feature a one-piece rubber gasket to help resist entry of outside elements. 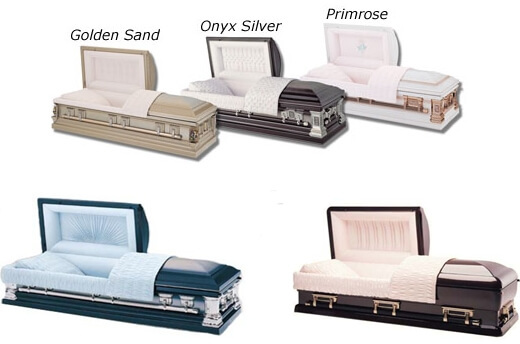 Chosen for its beauty and durability, basic stainless steel caskets are available in a wide selection of colors and finishes. The grade of stainless steel is determined by the amount of chromium and nickel content — the higher the content, the higher the quality of the steel. Basic stainless steel contains 12% chromium with no nickel content. Batesville’s basic stainless steel caskets feature the exclusive Cathodic Protection System, a scientific method that inhibits the formation of rust on outer surfaces to extend corrosion resistance by 2.5 times. In addition, a one-piece gasket helps resist the entry of outside elements into the casket. 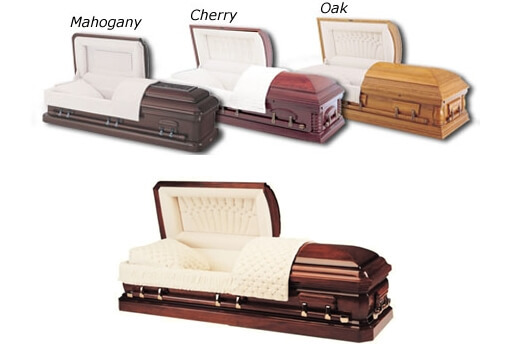 Wood caskets are the choice of families who appreciate and cherish the qualities of natural wood. The warmth, beauty and personality it brings to fine furniture makes this material ideally suited for caskets as well. Utilizing the finest materials and expert craftsmanship, Batesville ensures that each casket is a masterpiece. Models are offered in a variety of wood species including mahogany, walnut, cherry, maple, oak, pecan, pine, and poplar. With a wood casket, you’ll find there is no substitute for quality, craftsmanship and attention to detail. What is a Burial Vault? - A burial vault is a lined and sealed outer receptacle that houses the casket. It protects the casket from the weight of the earth and heavy maintenance equipment that will pass over the grave. It also helps resist water and preserves the beauty of the cemetery or memorial park by preventing the ground from settling.